At Front Lawn we always put the children first. We believe that every child can succeed in school and that it's our role to ensure they reach their potential. All children attending Front Lawn should feel happy, safe, valued members of the school. We have the highest expectations for effort and behaviour and deal promptly with any issues that arise relating to these. Involvement of parents and carers in the education of their children is of the utmost importance. We frequently run events such as open mornings, workshops and coffee mornings as well as weekly celebration assemblies. To keep up to date with what's happening at school we also have a Facebook page which over 500 parents already follow. If you 'Like' the page then you will get messages and reminders automatically. We are sure your child will be very happy during their time at Front Lawn and if you ever have any questions, concerns or feedback then please come and see a member of staff who will always be happy to help. If you would like to apply for a place at Front Lawn, please follow the Hampshire guidelines here. 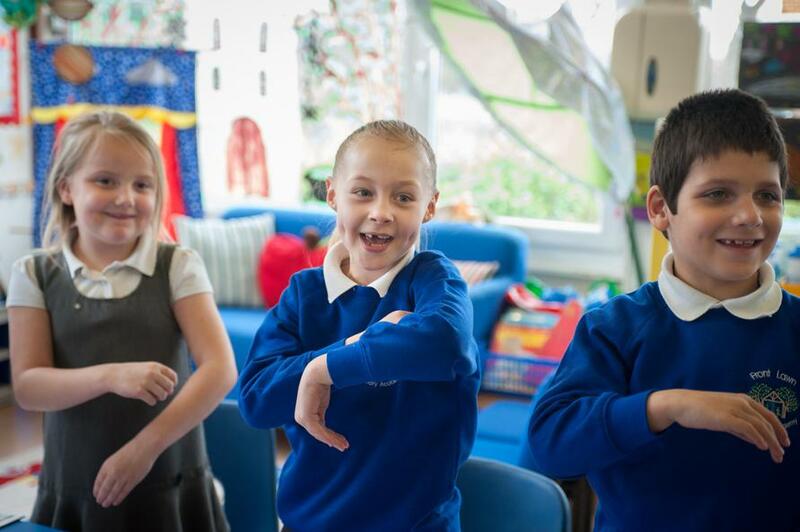 Front Lawn Primary Academy is part of The Kemnal Academies Trust, (TKAT).